Vegan donuts from Dun-Well Doughnuts! 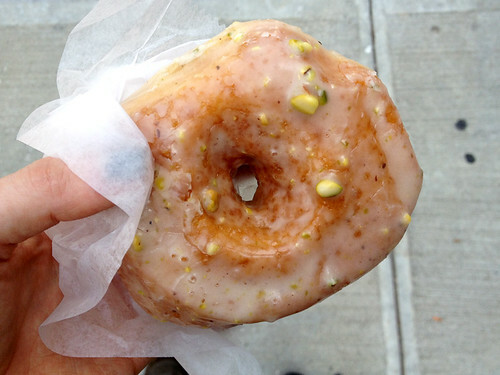 I've been eating Dun-Well's doughnuts since before they had their own brick-and-mortar shop, back when they delivered them to vegan shops around the city and I would bike to Brooklyn to pick them up from Champ's Bakery because they are sooooo good. 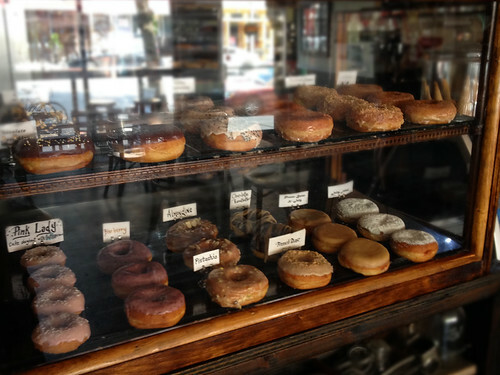 And their store is the cutest - and that display case of doughnuts just makes my mouth water. If you haven't been out to Brooklyn to check them out, you should make a point to do so asap!